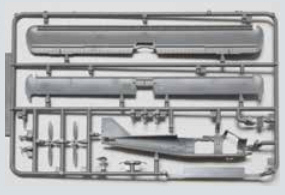 Special Hobby has recently released a number of interesting kit kits, a bit out of the mainstream of military aircraft. AUTHOR AND FOTO: PETR FILIP, KLUB Veselých Lepičů z.s. 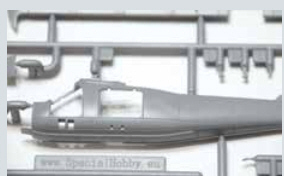 Special Hobby has recently released a number of interesting kit kits, a bit out of the mainstream of military aircraft. After the CASA C-212, a smaller machine now appears, licensed also in the Spanish factory. It is a single-engine machine for four to six passengers, used in military and civilian service almost all over the world. As far as the original is concerned, I think that SH was again black. An interesting, unexploded machine that offers an extraordinary amount of camouflage, including civilian - superstructures. The kit itself is of course the quality of the latest pieces of the brand, only in a very careful tour can be found in some places tiny blankets of reefs, the smallest falls would look in vain. The parts are divided into two larger and two smaller frames, the other with clear parts. The number of parts is multiplied by the possibility of building three different small machines from one box. Something is left to us. These are mainly interior and chassis parts, along with a few details on the surface. Due to this variability, it is necessary to collect the building instructions, which logically and naturally accompany a number of differences. It clearly states which parts for which of the selected kamu floats are used and the overall building logic is practically perfect (and I'm really tough on the guides). Read more in Plastic Planet magazine No. 2/2018.